Cognitive-affective-neuroscience of executive control; affective self-regulation, dissociation, hypnosis, meditation and trance states. Lilienfeld, S., Lynn, S., Namy, L., Woolf, Jamieson, G., Haslam, N., & Slaughter, V. (2011). Psychology: From inquiry to understanding. Pearson. Jamieson, G.A. (Ed). (2007). Hypnosis and Conscious States: The Cognitive-Neuroscience Perspective. Oxford, UK: Oxford University Press. Jamieson, G. A. (2009). Hypnosis. In Bayne, T., Cleermans, A. & Wilken, P. (Eds) The Oxford Companion to Consciousness. Oxford, UK: Oxford University Press. Jamieson, G.A. (2009). Hypnosis absorption and the neurobiology of self-regulation. In G.D. Koester and P.R. Delisle (Eds) Hypnosis: Theories, research and applications. New York, USA: Nova Science Publishers Inc. (pp 162-174). Jamieson, G.A. & Hasegawa, H. (2007). Hypnosis research: Building bridges between explanatory domains. In G.A. Jamieson (Ed). Hypnosis and Conscious States: The Cognitive-Neuroscience Perspective. Oxford, UK: Oxford University Press. pp 133-144. 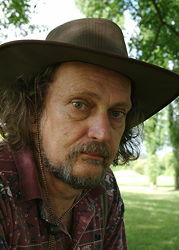 Jamieson, G.A., (2007). Previews and prospects for the cognitive-neuroscience of hypnosis and conscious states. In G.A. Jamieson (Ed). Hypnosis and Conscious States: The Cognitive-Neuroscience Perspective. Oxford, UK: Oxford University Press. pp 1-11. Jamieson, G.A., & Woody, E. (2007). Dissociated control as a paradigm for cognitive-neuroscience research and theorising in hypnosis. In G.A. Jamieson (Ed). Hypnosis and Conscious States: The Cognitive-Neuroscience Perspective. Oxford, UK: Oxford University Press. pp111-129. Grimbeek, P., Jamieson, G. A., & Gow, K. (2011). Using structural equation modeling to examine McCollough effects (orientation-contingent color aftereffects): Influence of dissociative experiences and age on illusory aftereffects. International Journal of Clinical and Experimental Hypnosis, 59, 198–210. Loi, N., & Jamieson, G. A. (2010).The Role of Absorption, FantasyPronenessandHypnosis in Responseto Trauma Australian Journal of Clinical and Experimental Hypnosis, 38/39, 132–154. Hutchinson-Phillips, S., Gow, K., & Jamieson, G.A. (2007). Hypnotizability, Eating Behaviors, Attitudes and Concerns: A Literature Survey. International Journal of Clinical and Experimental Hypnosis, 55, 84-113. Egner, T., Jamieson, G.A. & Gruzelier, J.H. (2005). Hypnosis decouples cognitive control from conflict monitoring processes of the frontal lobe. Neuro Image, 27, 969-978. Hutchinson-Phillips, S., Jamieson, G.A. & Gow, K. (2005). Differing roles of imagination and dissociation in the self-regulation of eating behaviour. Contemporary Hypnosis, 22, 171-183. Jamieson, G.A. (2005). The Modified Tellegen Absorption Scale: A clearer window on the structure and meaning of absorption. Australian Journal of Clinical and Experimental Hypnosis, 33, 119-139. Jamieson, G.A., Dwivedi, P. & Gruzelier, J.H. (2005). Changes in Mismatch Negativity in hypnosis: Left frontal versus global anterior inhibition. Brain Research Bulletin, 67, 298-303. Vaitl, D. Birbaumer, N., Gruzelier, J., Jamieson, G. A., Kotchoubey, B., Kubler, A., Lehmann, D., Miltner, W.H. Ott, U., Putz, P., Sammer, G., Strauch, I., Strehl, U., Wackermann, J., Weiss, T. (2005). Psychobiology of altered states of consciousness. Psychological Bulletin, 131, 98-127.